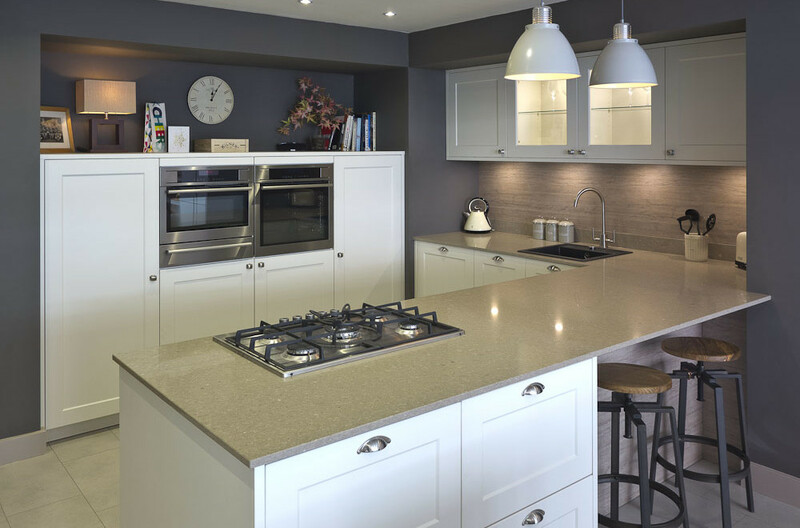 This Shaker kitchen at Heathfield combines the traditional style of Shaker with modern convenience and high quality German engineering. 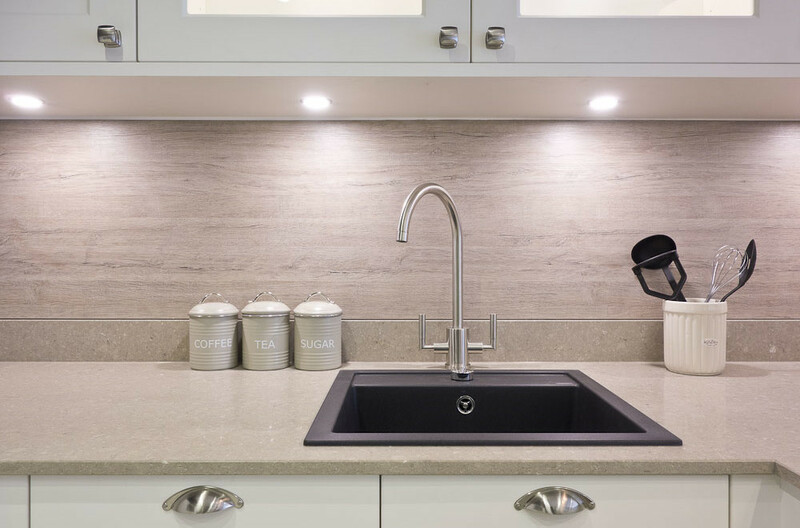 Shaker kitchens were never quite like this; drawers glide open and doors and draws close themselves softly after the faintest of touches. 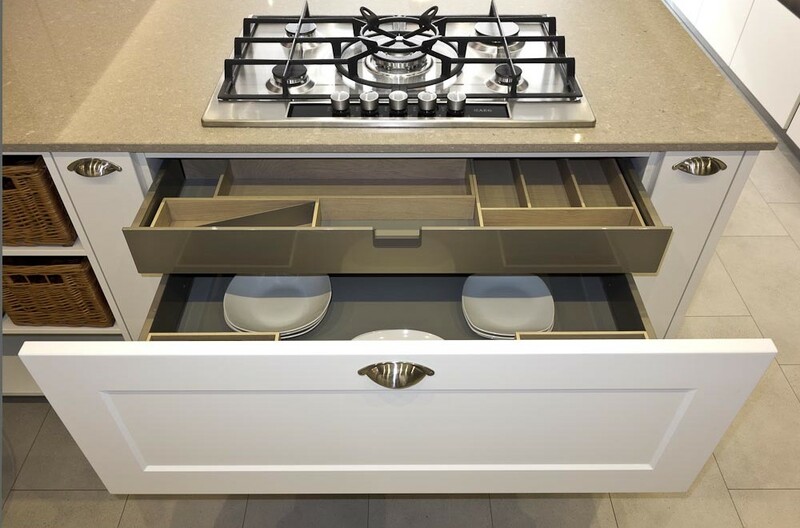 Those inaccessible corners of cupboards are utilised to the full with the help of finely engineered swinging tray mechanisms. 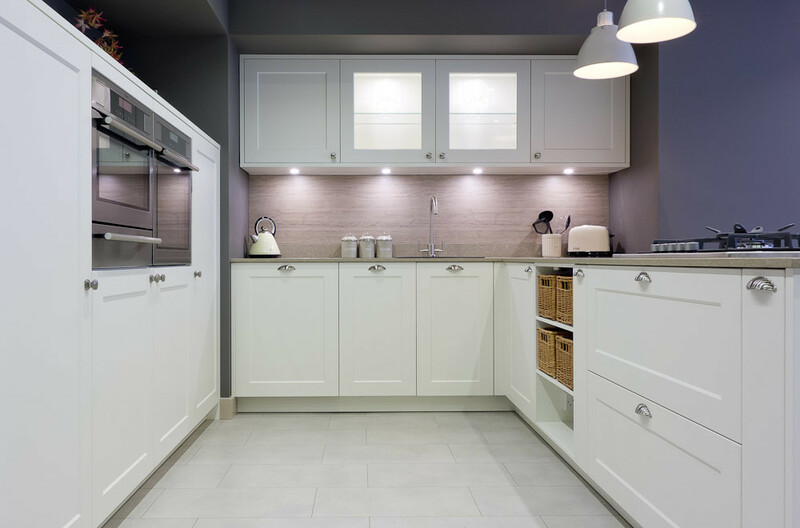 In this kitchen, the traditional looking doors conceal superb AEG appliances, but the choice of appliances is yours. 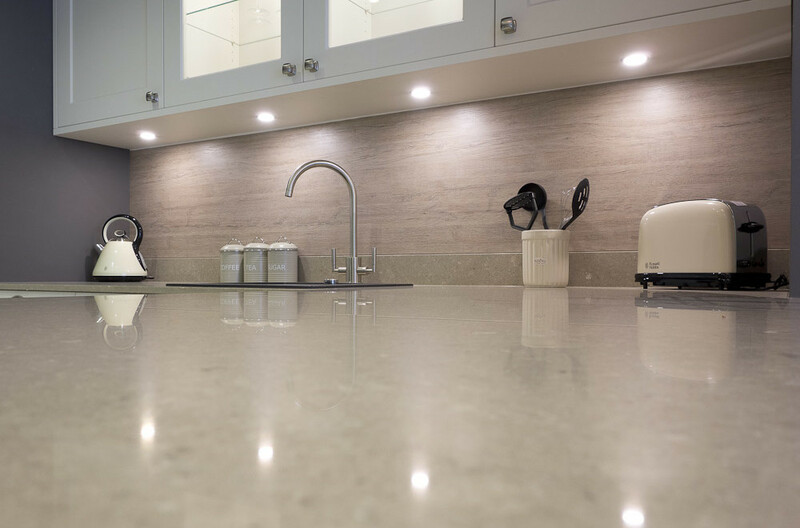 The showroom Shaker kitchen is topped with beautiful quartz worktops.